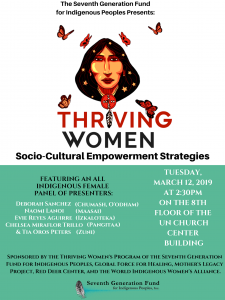 We are pleased to co-sponsor with the Seven Generations Fund for Indigenous Peoples panel at the Commission on the Status of Women at the United Nations in New York. The vital information regarding indigenous women world wide will be useful and informative. We are honored to support this great work. Students from Utah State University and Weber State University will be attending and representing our organization. 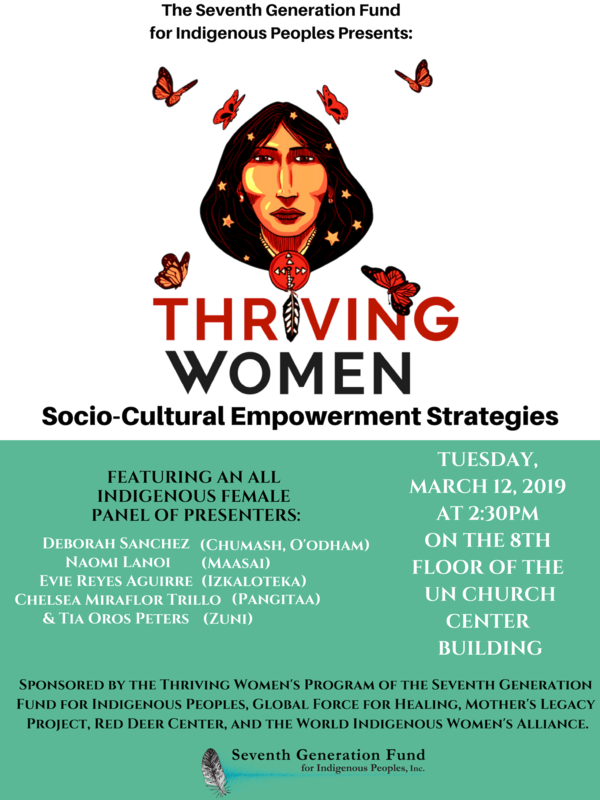 We are excited for their opportunity to attend this life changing event during the week of the CSW.